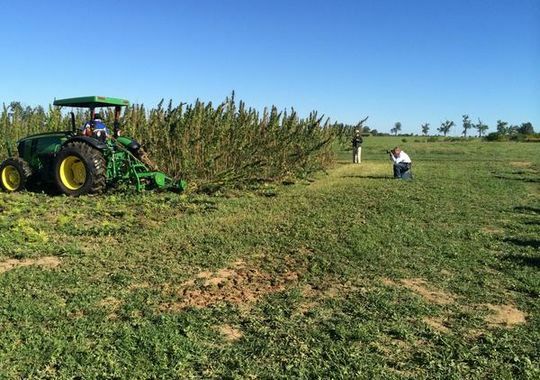 A hemp crop years in the making in the halls of the Kentucky legislature and the U.S. Congress took only a few minutes to harvest Tuesday from a University of Kentucky farm field. With that harvest, roughly more than half of the first-year experimental crop is now out of the field and headed or soon to be headed for future uses, officials said. UK's crop at its Spindletop Research Farm was one of the first legal hemp crops in research trials allowed by the federal Farm Bill. Otherwise cultivating hemp is illegal. 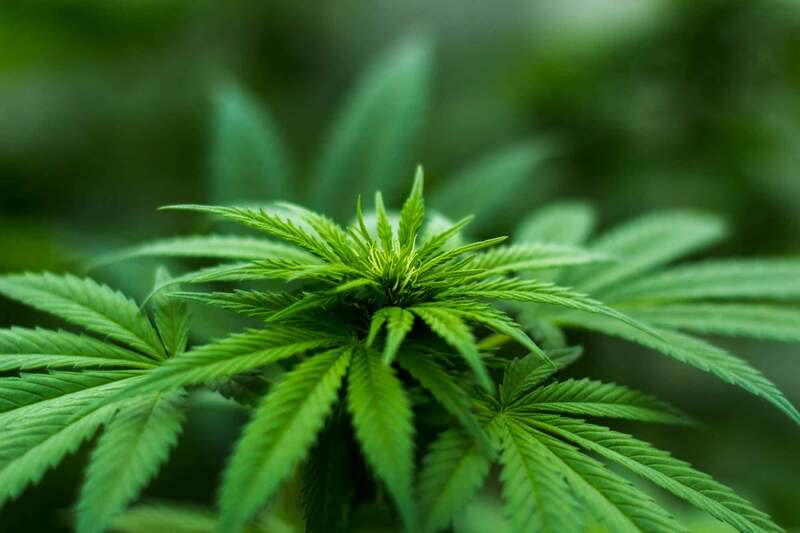 Roughly more than half of the 15 hemp growing sites have harvested already, said Adam Watson, the Kentucky Department of Agriculture's hemp coordinator. Exact figures of how much hemp was produced won't be available until growers submit research reports. The department will be sending out a form for those reports in the next couple of weeks with the hope of getting them back by year's end, Watson said, although some will take longer, and the deadline set by state regulation is next June. The crop that grew well in Kentucky decades ago did so again, Watson said, with the only surprise he heard repeatedly from growers was the speed of some of the plant's growth spurts. "It went from waste high to shoulder high in a period of one week." said Tony Brannon, the agriculture dean at Murray State University where hemp is being grown at its farm. "I think this year everybody went in with kind of guarded expectations," Watson said because the plant was put in the ground later than what would be ideal and because it's a new crop. Murray State plans to harvest most of its hemp crop Oct. 22 to coincide with National Bioenergy Day, Brannon said. It was planted in two parts, on May 12 and June 12. "It's probably a little bit late" for harvest, he said, but other hemp crops will have to be stored and dried. "We're just going to kind of let ours dry down in the field." UK's crop was to have been harvested two weeks ago but that was postponed after heavy rains made the field too muddy. The finished product will be used for a variety of projects, including biomass fuel, concrete, textiles and horse bedding. "The ultimate goal of these projects is to find an outlet for what's produced for evaluation further," Watson said, "because even if we know how to grow it well we still have to make sure there's a ready market available to utilize it." Watson said the department will start securing seed early next year in late winter. "You can't make a judgment on any plant in one year," Murray State's Brannon said. "... Grapes and things like that take three to four years. Switchgrass takes three to four years to come into full production. It's going to take a multiple year approach to this to see" what growing conditions are best for the crop "as well as giving the market time to develop. ... This is not the first new crop that we've worked with."